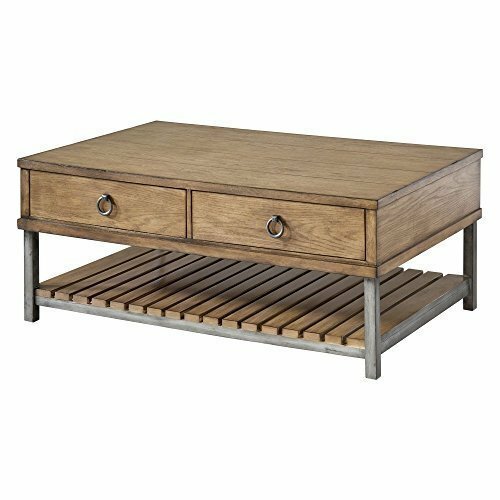 Transform your living room with this beautiful oak coffee table! Its rich caramel color is complimentary in any room. This table has two drawers with round, silver drawer pulls. It also features a planked bottom shelf for maximum storage.